Finding time though to bond with kids is crucial for them, and you, both now and for the future. Childhood is fleeting and so are the moments we have to truly connect with our kids. Between work, household chores, and family responsibilities, the days slip by with barely a moment to share, and few conversations not centered around things that need to be done. One of the easiest ways to bond with kids from the time they are infants, right through until they are teens, is to get down on the floor with them to play. Play with cars, play with Lego, engage in their games of imagination. 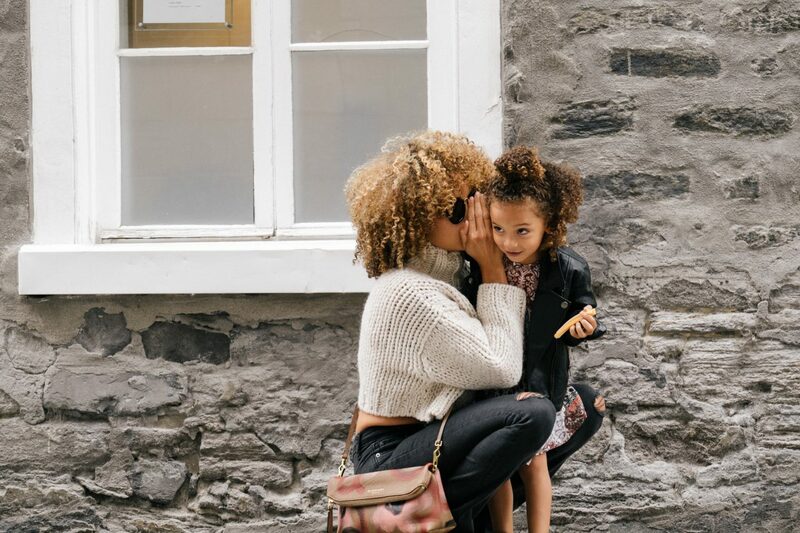 By getting down to their level, not only do you bond with kids by doing things they are interested in, you also open the doors for chatter and one day, communication. You won’t believe the stories that are told, the dreams shared over pretend play until you experience it. Being at their eye level, rather than looking down on them, allows you to connect in a whole different way. Kids today can be over-scheduled, over-stimulated and spend way too much time involved in controlled events and activities indoors. Getting outside for a walk, a hike, an activity, or just to watch the stars in the night sky, clears away the clutter and the noise and opens the door to some real you and them time. The fact that it is outdoors can also make it something unique and special given the amount of indoor things we do, so not only are you bonding, you’re also creating memories and experiences. It’s already been said that kids can be busy. One way to bond with kids, and give back to the community, is to get involved in the things they are involved with. Be a Scout leader, coach a team, volunteer at their school, be a parent helper at dance. Whether you’re directly involved with your child or not, it will mean something to them that you took the time to be involved in an activity that was important to you. Chance are it will also give you new things to talk about based on your new insights into the behind the scenes of whatever it is they’re doing. It’s hard, I know it’s hard, to find one on one time with your kids, especially if you have more than one. The effort you put into making that time happen though will pay off tenfold, for both of you. It doesn’t have to be every week and it doesn’t have to be something huge, but the time you spend alone with your child, without the distraction of home and work, will create a bond between you that will last a lifetime. Whether it is a special hiking place, an ice cream date once a month, or seeing a movie together, time spent one on one means a lot to kids and can mean a lot to you when you look back over the years. It is a time to be focused, a time for them to share without others listening in, and a time you both will look back on when you think of each other. I once heard someone say he would bond with his kids when they were older and more interested in the things he was. Guess what? Because that person didn’t make the time to connect with his kids when they were young, because he never showed interest in the things they were interested in, those kids grew up with no real connection to, or interest in bonding once he decided they were interesting enough. Now is the time to bond with kids, while they still think you’re responsible for placing the sun and the stars, and while you have a chance to show them that they matter.